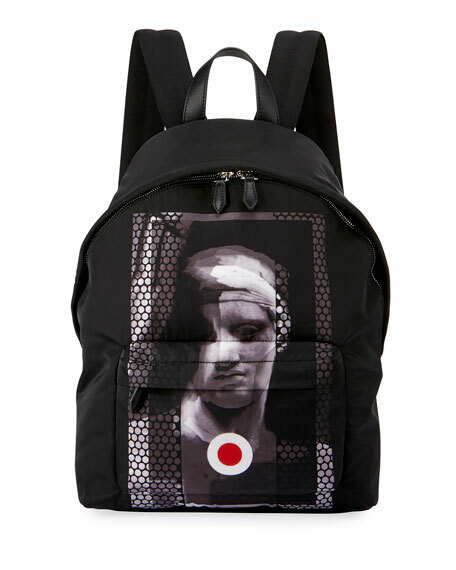 Givenchy neoprene backpack with romantic statue print. Calf leather details, including flat top handle and logo patch at back. 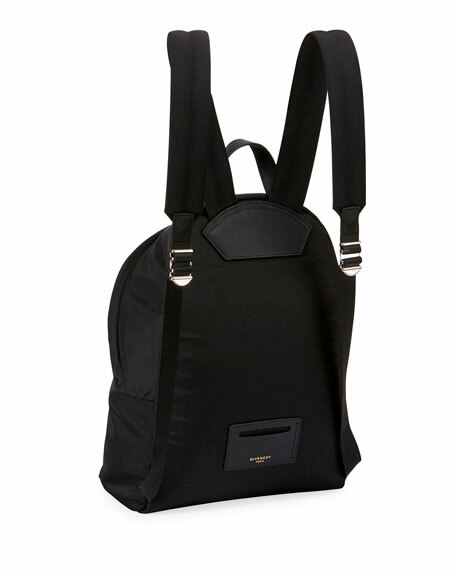 Adjustable, padded web shoulder straps. For in-store inquiries, use sku #2395941.